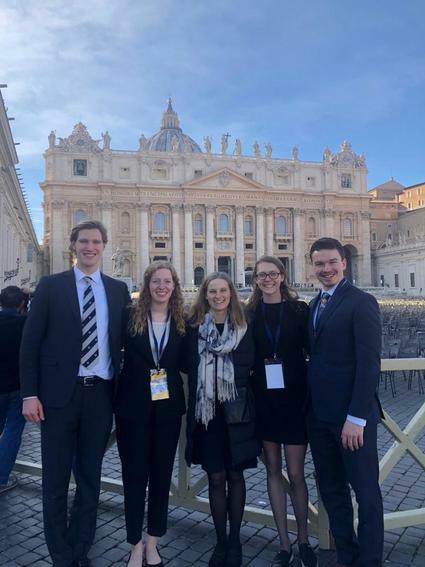 Seven students, studying abroad for the semester at the Rome Global Gateway, volunteered in February with the press office for the Pontifical Academy for Life (PAV) conference during the 25th General Assembly. The topic of the event was “Roboethics: Humans, Machines, and Health,” and volunteers shared duties with students from LUMSA University in Rome and Pontificia Università Salesiana. The PAV kicked off the assembly with a series of opening remarks from President Msgr. Vincenzo Paglia, who introduced the need to discuss new questions posed by modern technology and science. His speech opened the February 25-26 workshop and attracted some of the most pioneering engineers, developers, scientists, and both Catholics and non-Catholics to discuss the ever-growing field of artificial intelligence. The assembly was attended by more than 140 academics. The public working session took place on Monday afternoon and all day Tuesday, with 250 members and 14 speakers from Africa, Asia, Europe, South America and the United States. As a group, they discussed and examined trends and problems presented by robots. 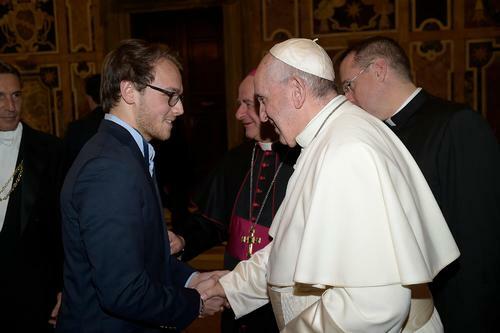 Hannah Gillespie, a mechanical engineering major, interned at the Pontifical Academy for Life and had the opportunity to work with the communications director, Fabrizio Mastrofini. As an intern, she was responsible for producing reports, summaries, and tweets in English. By working side-by-side with Italian students and meeting PAV members from South America, Europe, Asia, and Africa, she saw how these questions impacted the world beyond engineering and the United States. Georgi Saucedo meets Pope Francis at the Papal Audience reserved for PAV members. Among the other leading engineering experts, students had the chance to hear the Geminoid creator Professor Hiroshi Ishiguro from the University of Osaka (Japan). He presented and updated the assembly on current robotic technologies. Students spoke with Ishiguro on the state-of-the-art robotic research and the relationship between man and machine. The expert describes his twin Geminoid robot as "a new species, of which we must not be afraid.” Ishiguro says that man is in fact both animal and technology and this can be one of the engines of human evolution. 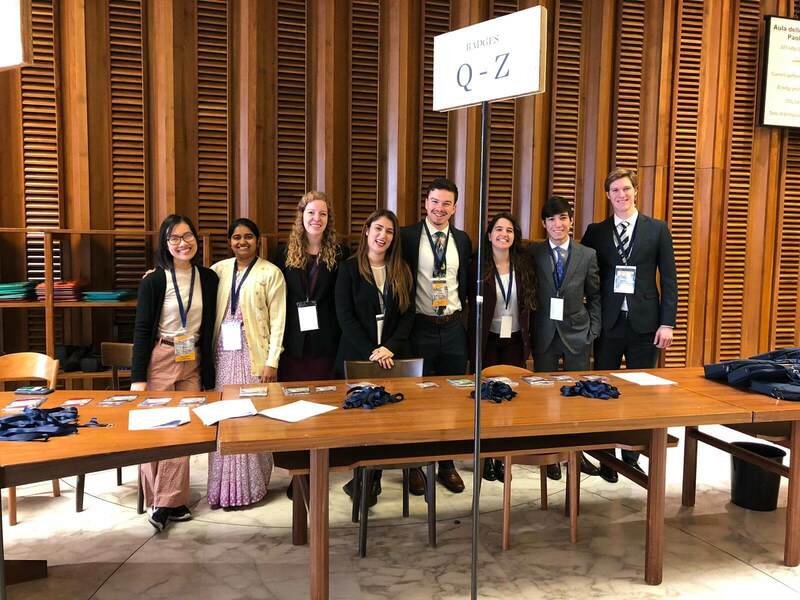 American, Italian, and other students from around the world volunteering to greet guests to the conference. Originally published by Costanza Montanari at rome.nd.edu on March 13, 2019.